Stinson Beach and it's 3.5 miles of sandy oceanfront are very popular during summer. Part of the beach is maintained by the National Park Service, which provides volleyball equipment free of charge, runs a snack bar (open in summer) through a concessionaire, and staffs several lifeguard towers between late May and mid-September. 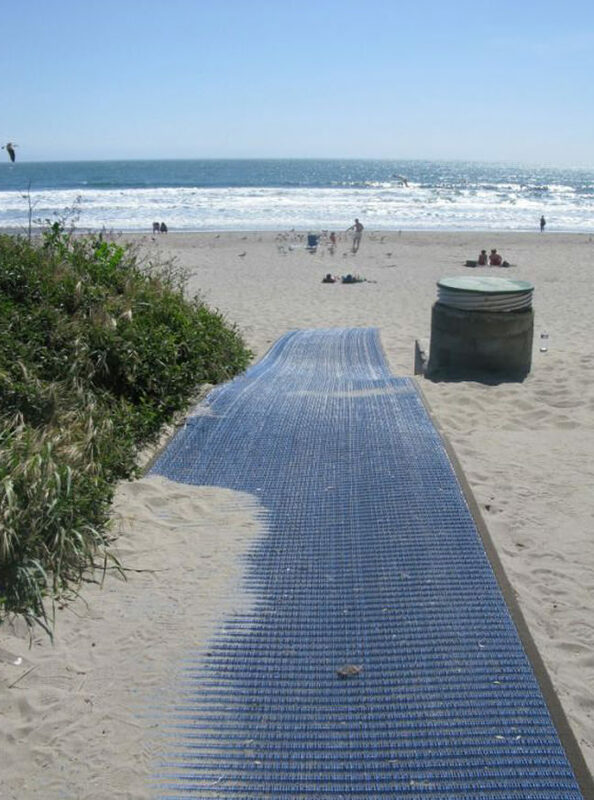 Accessibility: •Beach Wheelchair: Yes •Reserve at least five days in advance by calling the accessibility program manager at 415-561-4958 •If you haven't made a reservation and a lifeguard is on duty, he or she may be able to retrieve it. •Accessible Parking: Yes •The park has three paved lots that all have designated accessible spaces •Accessible Restroom: Yes •Accessible restrooms and changing rooms are by the northernmost and central parking lots; the turnaround space may be tight in the stalls near the central lot because of a bench inside the stall. •Accessible Picnic Tables: Yes •The picnic area near the central parking lot has a few roll-under tables; all are set on grass a short distance from the paved walkway; the ground is firm when dry.